I have always been given good advice from the engineers at Timber Wolf Bandsaw Blades when I outline our needs. We have a Grizzly 5hp 17” bandsaw with a Co-Matic bandsaw power feeder. 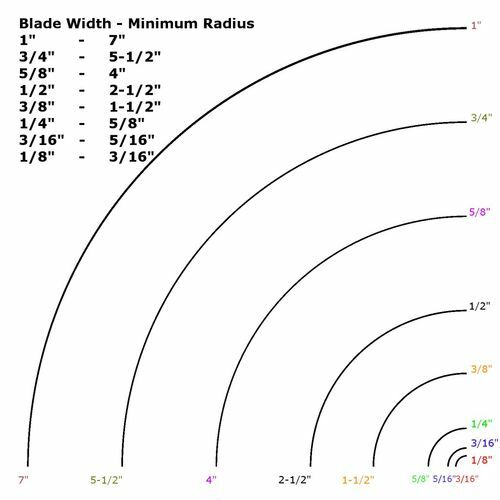 Here is a couple of links to some blade info. Good luck with your new saw. I bought the 513×2 awhile ago and love it. I did a ton of reading when my saw was new and liked what I read about Lenox blades. However I have not got around to buying a Lenox blade yet. Found a local shop that makes blades onsite. I figure when I use these up I will go ahead with some Lenox blades just to compare. Price is competitive with what I buy locally. Some good reading on this site too. Check out Precision Blades in Saltillo. Close to you, and they are very helpful. That’s where I buy my BS blades.